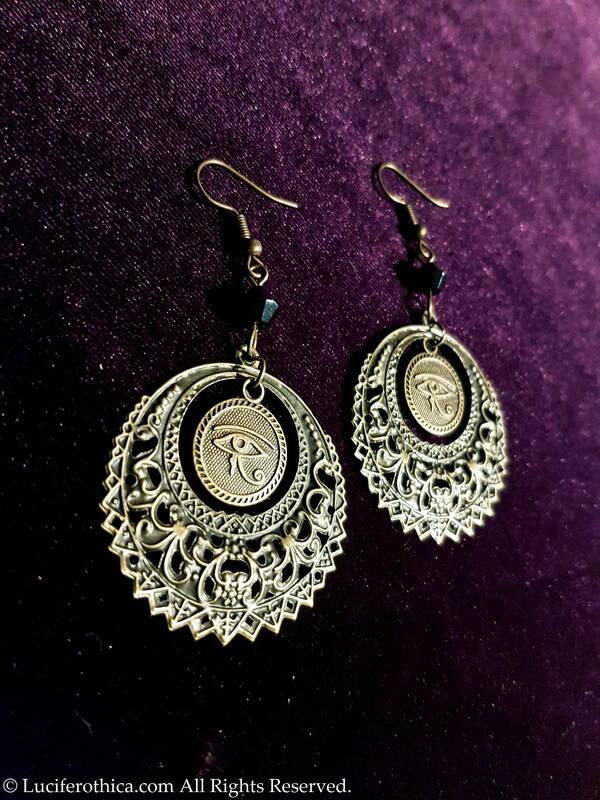 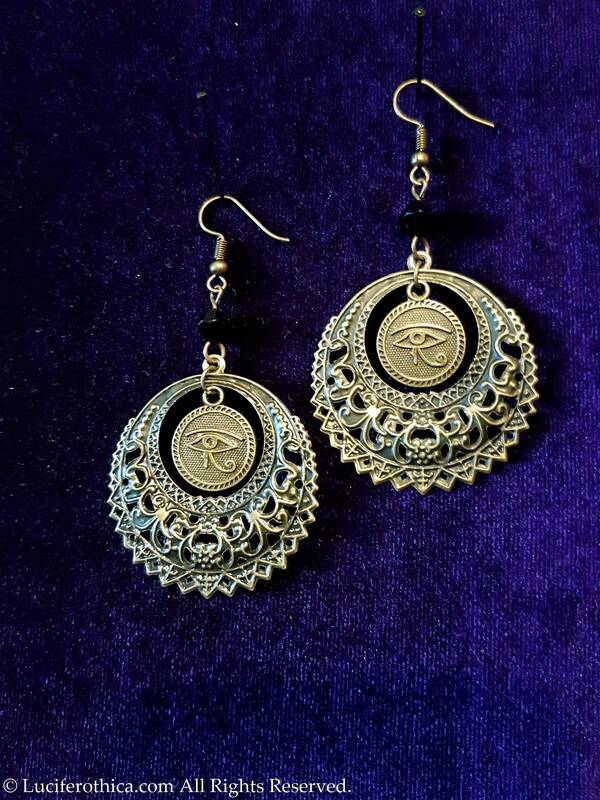 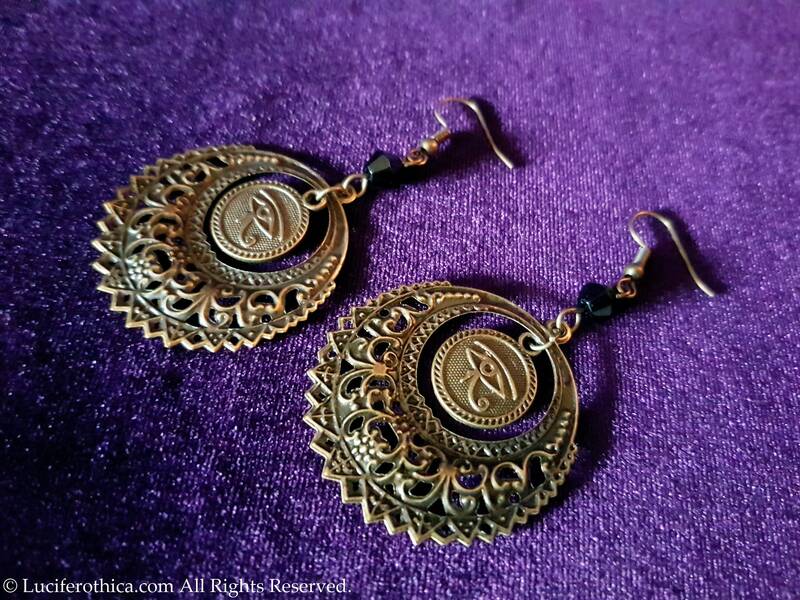 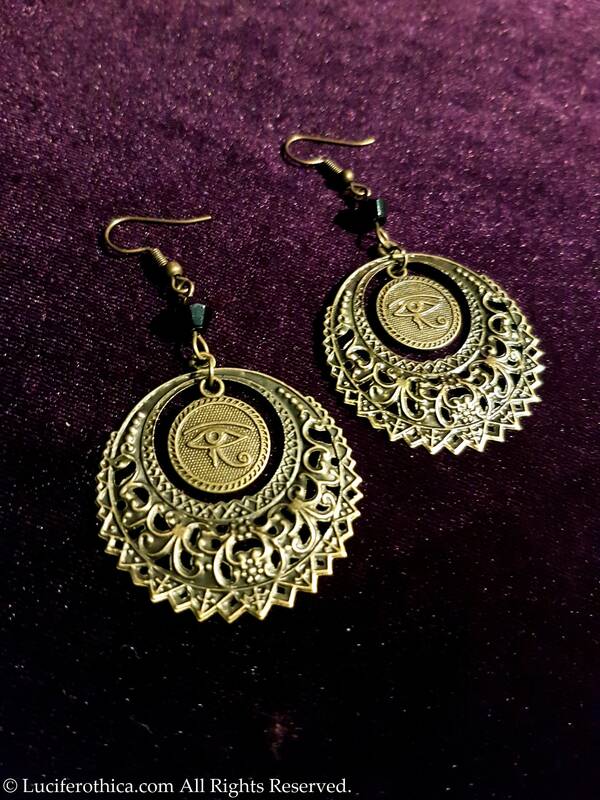 Eye Of Horus Mandala Earrings. 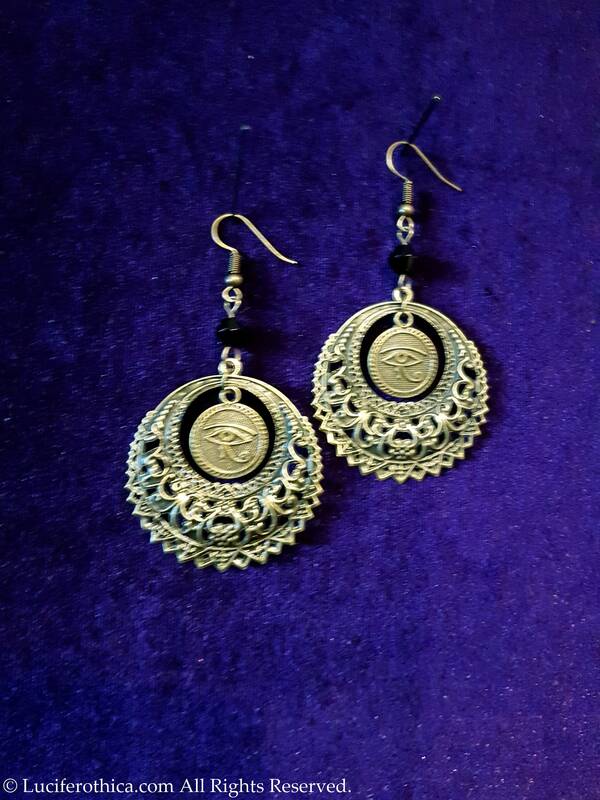 - Eye of Horus double sided coin in the middle of a light weight mandala. 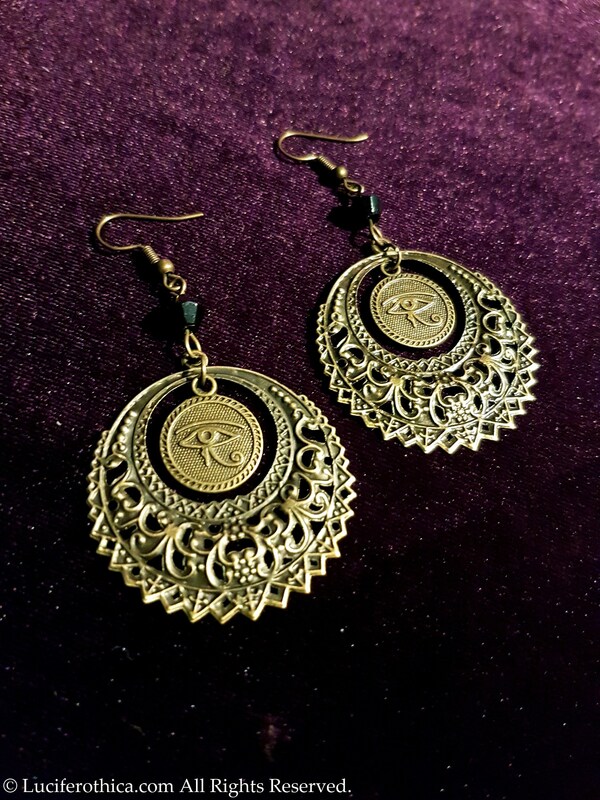 - Glossy black bead on top.